Home / Where Can We Run Track? Due to insurance reasons, the track is ONLY open to MCRRC Members during our permitted times. You MUST have a current MCRRC Membership to use the track — no exceptions. During MCRRC’s permitted track times, the track is CLOSED to the general public & may ONLY be used for MCRRC training programs and general club member use. 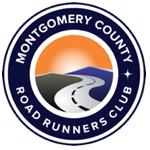 The track may not be used for participation in a coached program not affiliated with MCRRC. Please note the START TIME ABOVE for the date you plan to attend. Members ARE NOT permitted on the track prior to the listed start time and must remain outside the gate until the start time. No one under the age of 18 is permitted in the track under any circumstances. There may be no exceptions. Please note that this includes the infield, bleachers and any area inside the track fencing. MCRRC generally follows school policy on weather & other closures. The rule of thumb is, if school is cancelled, so is our workout. We will do our best to update the club in as timely manner as we can, of a known cancellation. Once we know, you will know. Cancellations will be posted here, on our Facebook page & over the MCRRC-Info listserve. You may always contact office@mcrrc.org with questions, M – F between 7:00 AM and 3:00 PM. Hours may vary.